We’re all still recovering from our latest firing here at Tye River. Sleeping off the night shifts, working off the banana muffin calories. It was a smooth firing, the kiln climbed easily and steadily. Once again, it felt like all we needed to do was keep it from racing. The stack on this kiln is over-sized, so reining it in is the name of the game. We began the preheat on Friday afternoon, 11/4, and maintained a campfire-type burn outside the tube firebox (but drafting through) through Thursday morning, 11/10. At that point we began pushing the fire into the firebox, eventually transitioning to stoking above the grates in the main stoke hole Thursday night. Getting up to temperature (cone 12) Friday morning, we maintained the heat from the front until Sunday morning, when we transitioned into the second and third chambers. The final stokes around 4:00pm, Sunday 11/13, the kiln was mudded-up and left to cool shortly thereafter. This being my fifth firing to participate in, and third as apprentice, I feel like I’ve got the rhythm of the firings here at Tye River Pottery. Which is not to say that I don’t learn new things with each stoke. I do. 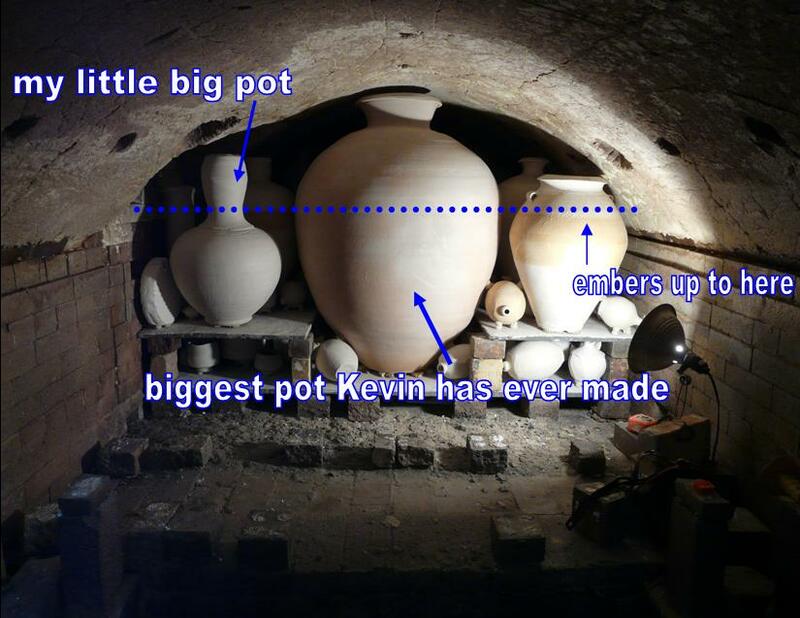 In the firing this time is the largest pot Kevin has ever made. It was commissioned by the new Couric Cancer Center at UVA Hospital for their meditation room. Emily Couric, a state senator for Virginia, was a patron of Kevin’s before she died of pancreatic cancer in 2001. The new Clinical Cancer Center sought out Kevin’s large pots to adorn the space and promote contemplation. The large pot is in the second stack of the tube, and is a wonder to behold. Nestled in the ember bed of the side-stoke, the Laguna 950 clay body should reduce win blues, gold and greys. We pre-heated especially slowly to accommodate for the size of this pot. 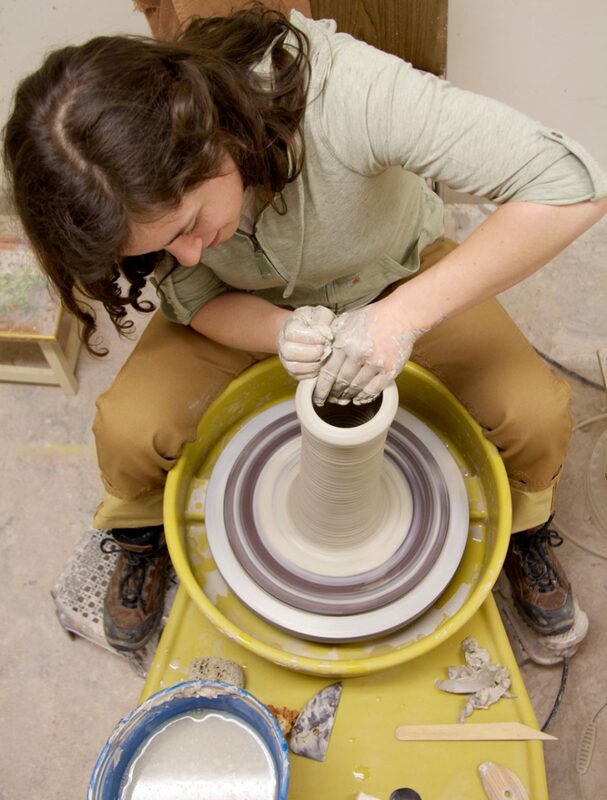 There were a couple of new techniques we tried in this firing, one being the more intense side-stoking of the tube. Beginning Friday morning and continuing through Saturday evening, we packed that side-stoke channel as full as we could. In the past, we’ve stoked that part of the kiln until the back-pressure made it unpleasant to stoke any more. This time around, we pushed well past that point. 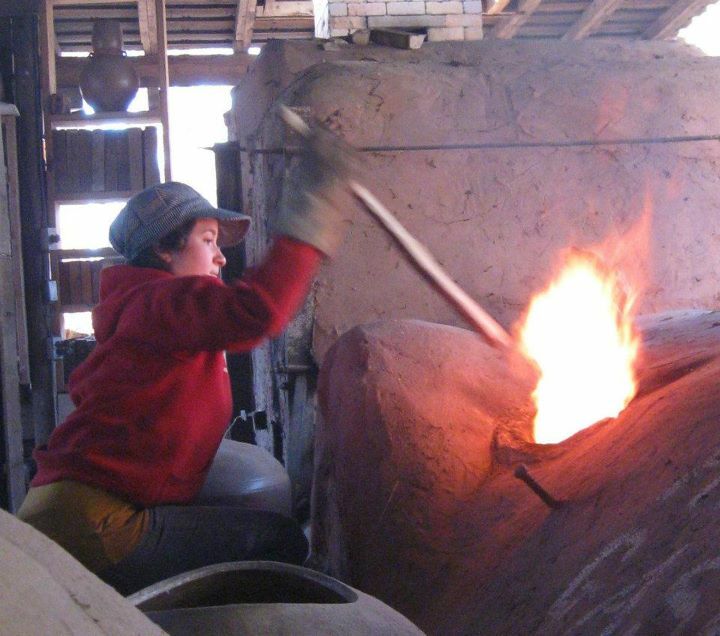 Each stoke, we had one brave soul on each side of the tube tossing finely-split pine into the 5-inch hole, bobbing and weaving around the geyser of flames, right up until the flames started to lick at the kiln shed beams. A third person kept their eyes on the shed itself. 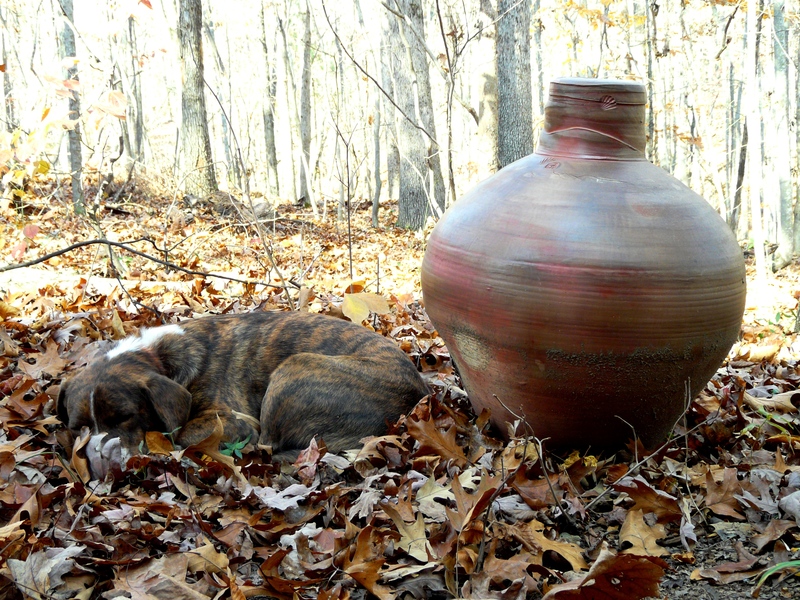 No kiln sheds were harmed in the making of these pots. A diagram of what you can't see when you're stoking your brains out. We altered our approach to salting in the third chamber this time around. After testing out every damper setting from no damping, to a billowing technique, to a mostly damped-down setting, this time we completely closed the damper during the salting for a solid five minutes. Now THIS may have done some damage to the kiln shed, but we’ve got our fingers crossed and have a sneaking suspicion that this will give us the saltiest pots yet. Another new element in this firing was the addition of the general public to the firing scene. Kevin decided to participate in the Artisans Studio Tour this fall for the first time. He hasn’t had much luck with studio tours in the past, as he’s pretty far out into the countryside. None of us thought very many people would show up, but they did. DID THEY EVER. Throughout the weekend, people interested in pottery filed in and out of the kiln shed, got the wood-firing 101 from Kevin or one of the crew members, and was escorted to the studio/gallery to buy themselves a souvenir or two. From 10am to 5pm, we had a steady stream of new faces, interested and interesting people. Kevin made some great sales, and next time around, we’ll add selling shifts to the stoking timetable. After a surely successful firing, and a successful sales weekend, I think I’ve succeeded in digesting all the delicious dishes the crew members brought to share. Tem, the studio pup, is still resting up from the weekend’s excitement. Now we’ll just have to find way to keep ourselves busy until Saturday, when we can crack that baby open and see the results for ourselves. 10:00am, sharp the door comes down. I know Tem can hardly control his excitement.